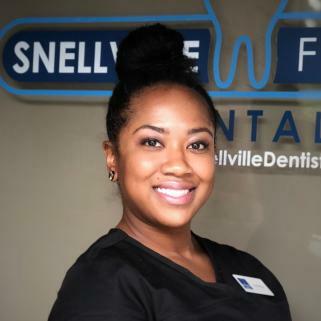 Restorative dentistry is a series of treatments that can be used to replace or restore parts of a tooth or missing teeth, restoring function and esthetics at the same time. 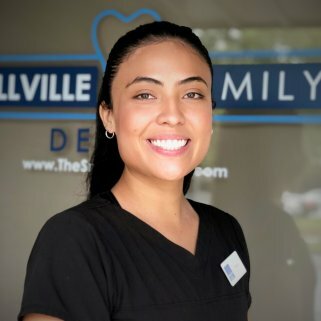 Restorative dentistry works to restore gums and your connective tissue to a healthy state. It is extremely important for all of your teeth to have healthy gums to help support your teeth. 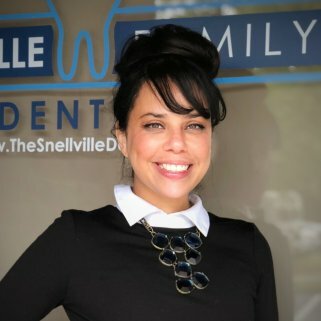 Snellville Family Dental has many different treatments that can be done to give you back your smile. 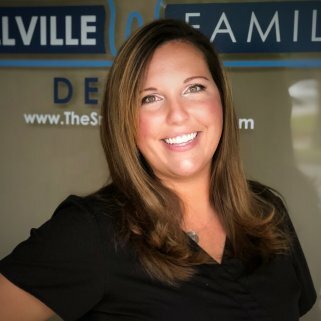 Call Dr. Nabi or Dr. Socoloff and set up an appointment to discuss which option is the best for you to help put a big smile back on your face. Your teeth are the first thing most people see when they meet you. Of course, you want to smile and make a great first impression. It is impossible to make a good impression if you have a gaping hole in your mouth from a missing tooth, or discolored teeth from decay or food stains, or chipped crowns or gaps. Despite the obvious health problems you may have if you can’t eat properly because of missing teeth, your self-esteem is also adversely affected by an incomplete smile with teeth missing. Here are some procedures that are necessary to keep your teeth looking great. These are the most common form of restorative dentistry. 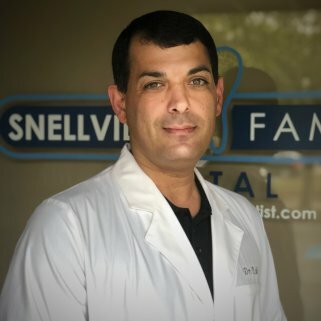 Dr. Nabi and Dr. Socoloff routinely use fillings of different materials to fill a tooth after tooth decay has been removed, or replace fillings that may have fallen out. They use silver amalgam or tooth colored plastic called composite resin. Your Provider can make a cap that will fit right over your tooth to restore its shape and give the tooth strength. A dental crown can be made to match the color of the rest of your teeth. It can also be used to hold a bridge in place. They are also a necessary part of a dental implant restoration. A bridge is used to replace a tooth or a group of teeth that are missing due to decay or accident. Your Provider will anchor the bridge with crowns placed on the teeth on either side which will be permanently cemented into place. Bridges are great when you have only one or a couple teeth missing. A dental implant is the replacement of the actual tooth root. 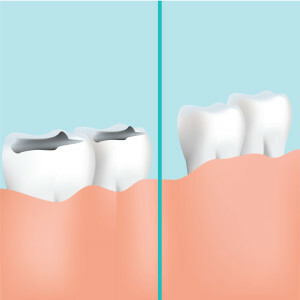 Our Provider will insert a metal post into the bone in the area of the missing tooth. Then, after the metal post has integrated with the bone, a crown will be placed on the post to create the tooth. Dr. Nabi and Dr. Socoloff will make sure the crown is the same color as the rest of your teeth to create a natural appearance. This procedure is the closest you will get to having your original teeth because they are individually placed in your jawbone like tooth roots just like your original teeth. Dentures are used when you need many teeth replaced. They are actually a removable form of replacement teeth. This is considered a last resort because you usually have to have all of your teeth pulled in order to have dentures. Many times they are uncomfortable and some patients report not being able to eat certain foods because the dentures aren’t as strong as your natural teeth. 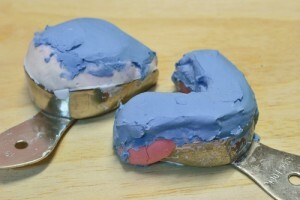 Normally, they are made of acrylic resin and metal as necessary to anchor them in your mouth. Not only do you want to replace teeth that may have been lost, it is also imperative that you keep your gums and connective tissue healthy. If your gums are not in good health, you may develop periodontal (gum) disease. There are some treatments that Dr. Shariff can use and teach you to bring your gums back to a healthy state. 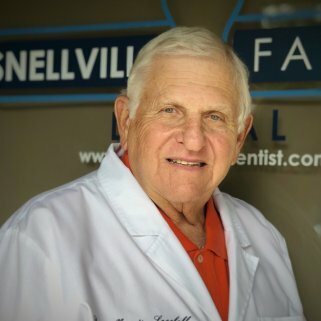 Once you develop the later stages of periodontal disease, you will always have it and will need your Provider’s help to keep things from deteriorating again. Dr. Nabi and Dr. Socoloff recommend that you get a professional dental cleaning at least once every six months. This is necessary to keep your gums and teeth clean from plaque and tartar which are the main causes of periodontal disease. This is procedure is used when routine dental cleanings are not enough and deep cleaning beneath the gums is needed to remove the plaque and tartar. Your Provider will do this procedure to help your gums become healthy again. Restorative dentistry is a vital part of returning your mouth and teeth to a healthy, happy state. You will be much more confident and have a better self-image when you can open your mouth to smile and talk without the gaps of chipped and missing teeth, and darkened, discolored teeth. 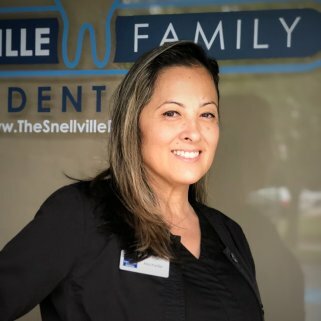 Make an appointment with our staff at Snellville Family Dental in Snellville, GA, and he will discuss all of your options based on your personal situation and help you decide which procedure or combination of procedures would benefit you the most. For more information or to book your consultation with our Providers, Contact Us Now.